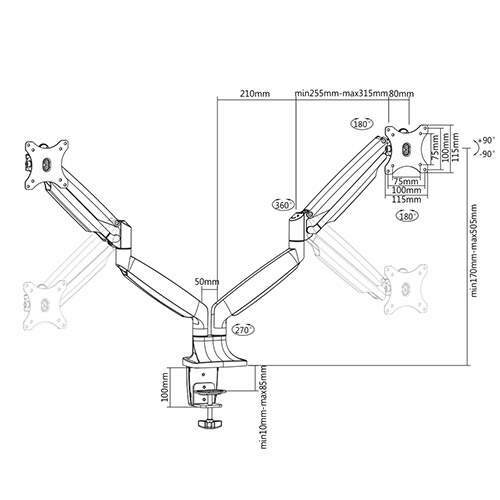 PHOEBE gas assisted single and dual monitor arms from OE Electrics are constructed with elegant die cast aluminium and innovative counterbalance technology. 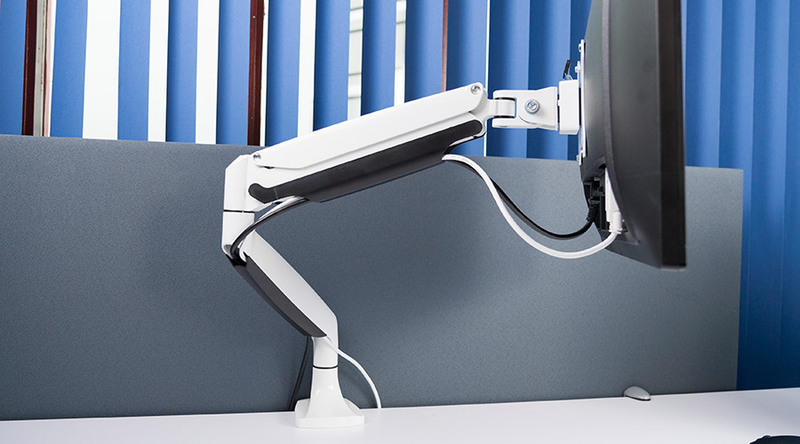 The highly adjustable arms allow you to move your monitors up, down, forward and back with just a light touch, until you have achieved the best ergonomic positions. 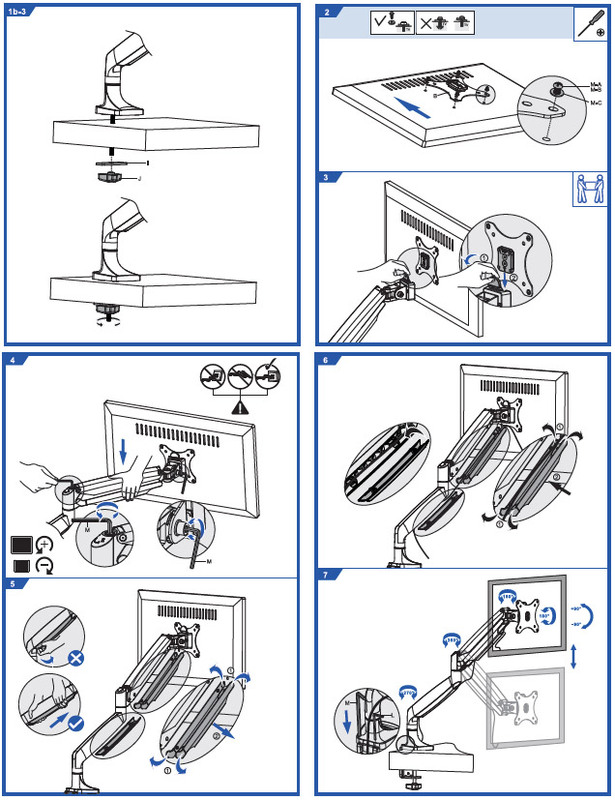 Monitor installation is made easier due to the removable, rotating, and tilting VESA plate, and PHOEBE’s integrated cable management removes untidy cables from your workspace. 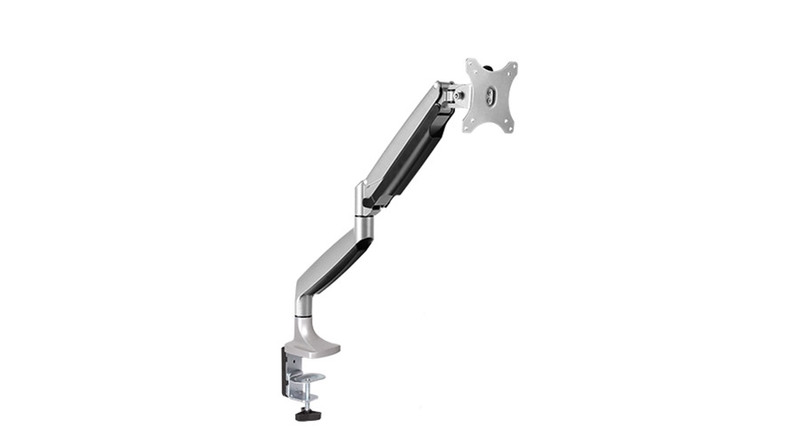 Each gas assisted arm has maximum weight capacity of 9kg/19.8lbs, and provides 180° monitor rotation, -90°~ +90° tilt, 180° swivel, plus vertical height adjustment. PHOEBE single and dual monitor arms are perfect for personal offices, open-plan, or public areas and are available in silver or white. 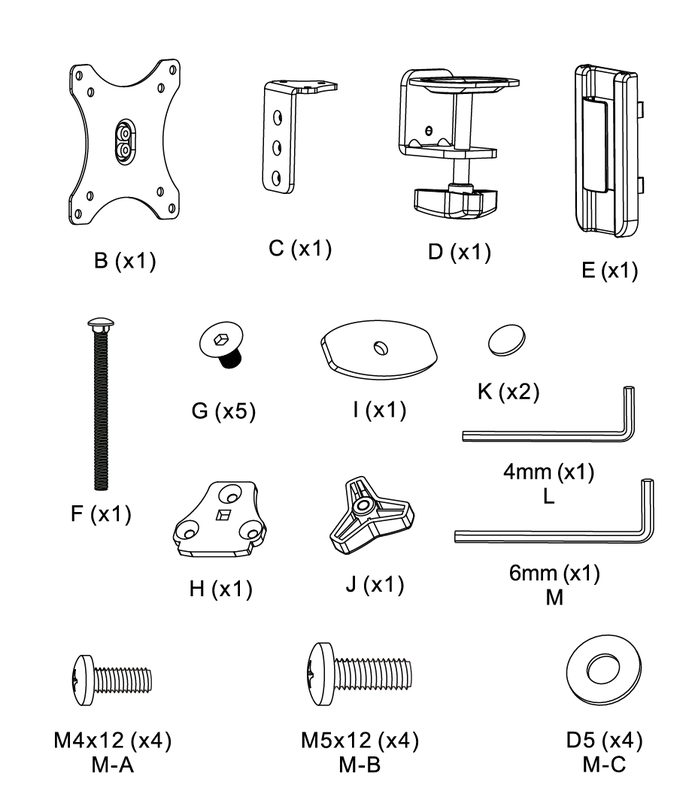 They are supplied with both “C” clamp and desk grommet clamp brackets as standard. PHOEBE gas assisted single and dual monitor arms from OE Electrics are constructed with elegant die-cast aluminium and innovative counterbalance technology. 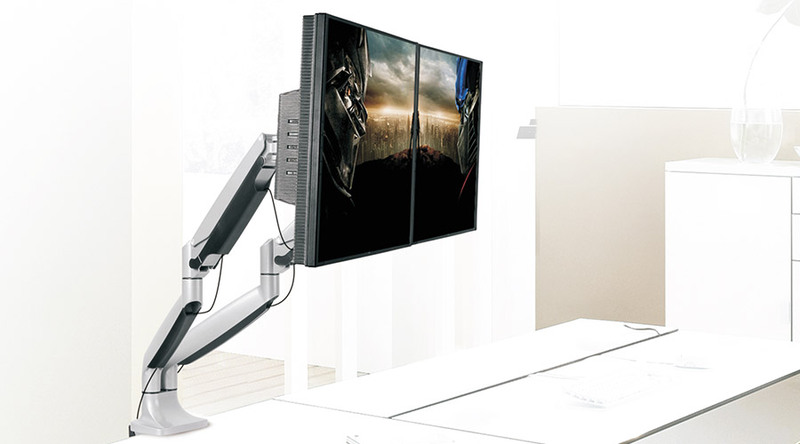 The highly adjustable arms allow you to move your monitors up, down, forward and back with just a light touch, until you have achieved the best ergonomic positions. 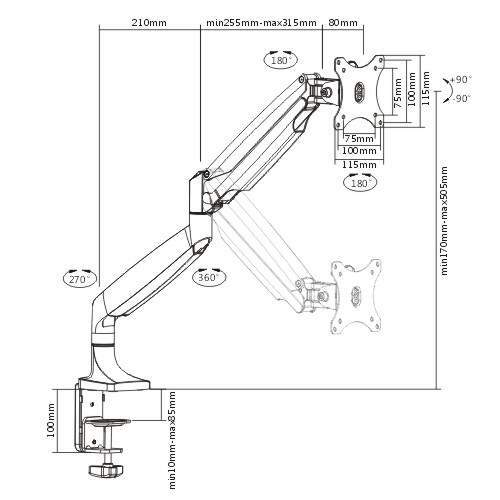 Each gas assisted arm has a maximum weight capacity of 9kg/19.8lbs, and provides 180° monitor rotation, -90°~ +90° tilt, 180° swivel, plus vertical height adjustment. PHOEBE single and dual monitor arms are perfect for personal offices, open-plan, or public areas and are available in silver or white. 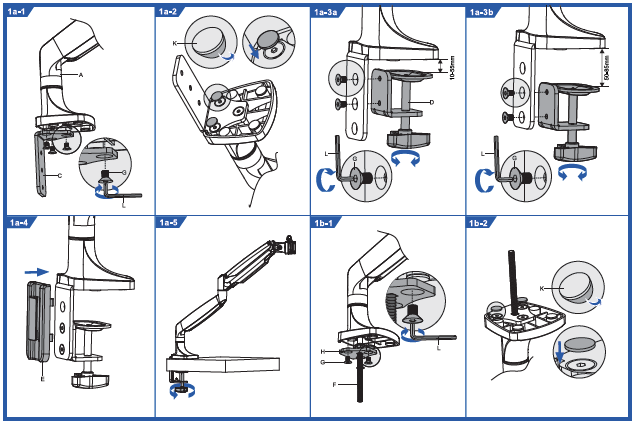 They are supplied with both “C” clamp and through desk clamp brackets as standard. PHOEBE single monitor arm for use with one monitor, or PHOEBE DUO double monitor arm for use with two monitors. 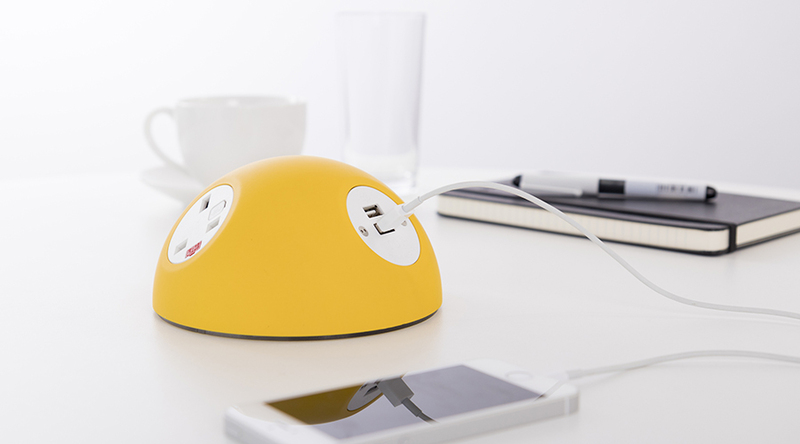 Cables can be fed through the arm itself, keeping them safe and tidy.